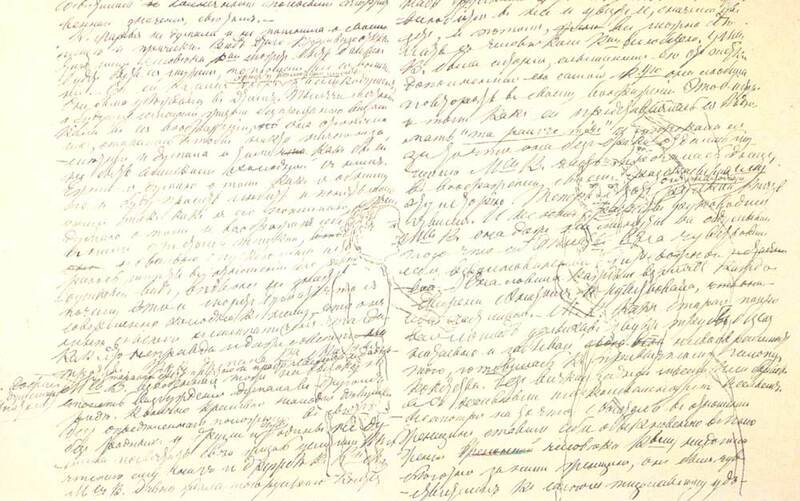 Drawing in the draft of the first version of the novel “War and Peace” (volume one. part three). The 1860s. Ink and pencil on paper. 34×43. 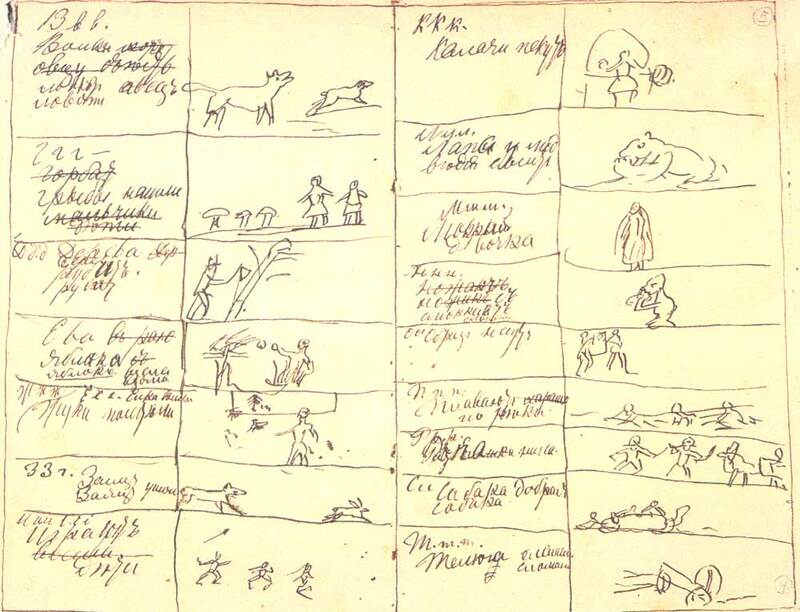 Sketches for the “ABC”. The 1870s. Ink on paper. 10.5X16.5.